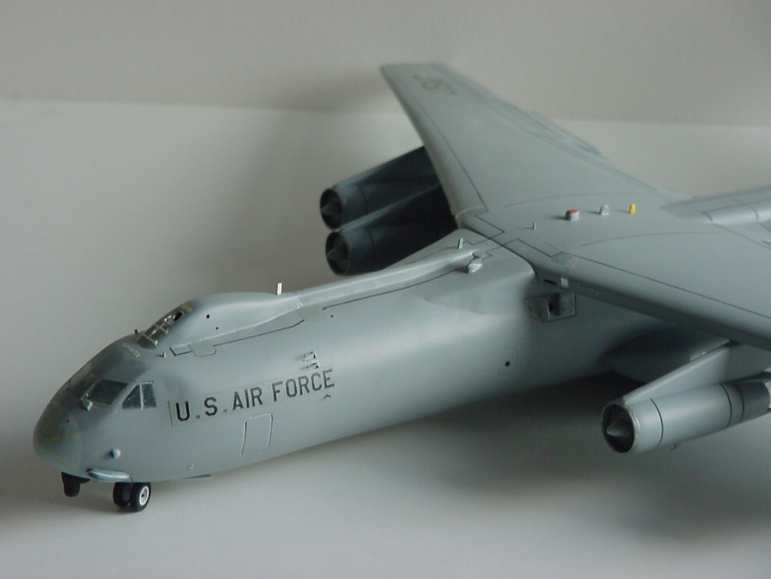 I thought you might like a look at this model that I put together some 5 years back. 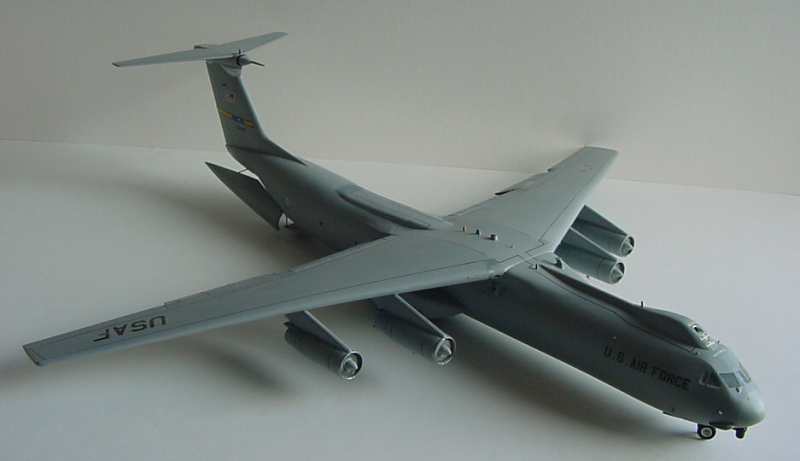 Back in the late 70's/early 80's, I purchased a C141A model made by Aurora which was something like 1/108th scale. When Lockheed stretched the fleet I decided to do the same and found a piece of plastic waste pipe of similar dimensions and set about sawing, plugging and filling! That's as far as I got and it went back in the box for about 10 years when "life" took over. 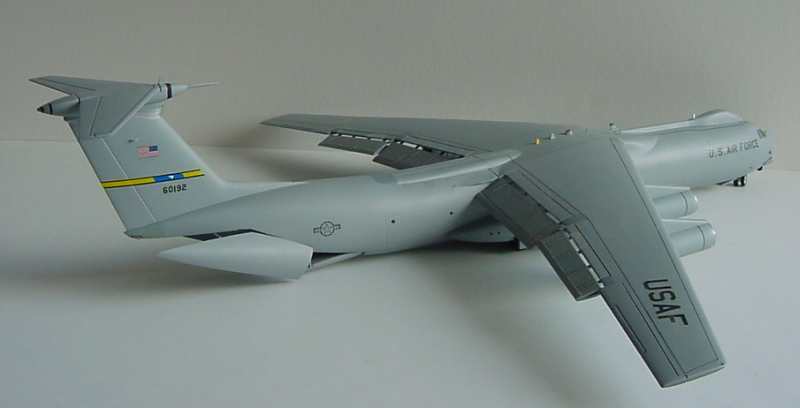 After the "intermission" by then both the (awful, in my opinion) lizard scheme had thankfully disappeared and the C141C SOL II version came into being which wetted my appetite again so I got back in the swing and completed it choosing tail number 66-0192. 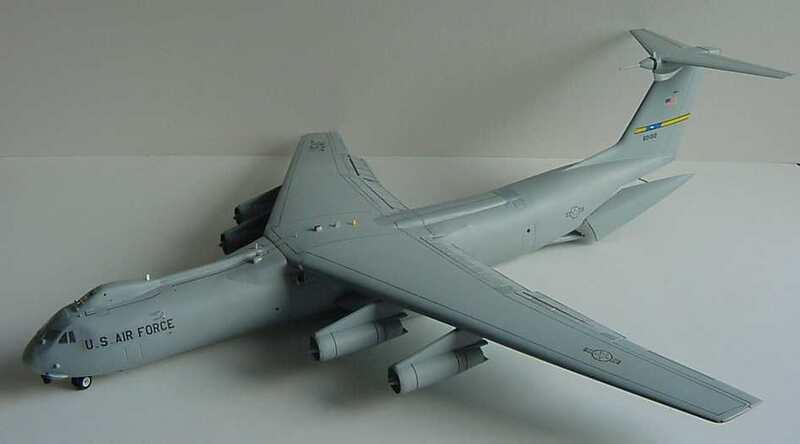 If you or any of your C141 colleagues ever purchased one they will know that the cockpit area was depicted poorly with much too curved contours without the more angular windshield. I tried to remodel this as best I could along with the extras for the SOL II version which were all eyeballed off photo's. Naturally once done I then found more info which would have been of better use. Anyway, after such a long time I am generally pleased with the result. I hope you like them too. I'd love to pick up another so if you know who and where please let me know.